Rasta Man has everything a breeder could ask for. His fleece his dense, lustrous, and continues to be very fine as he ages. 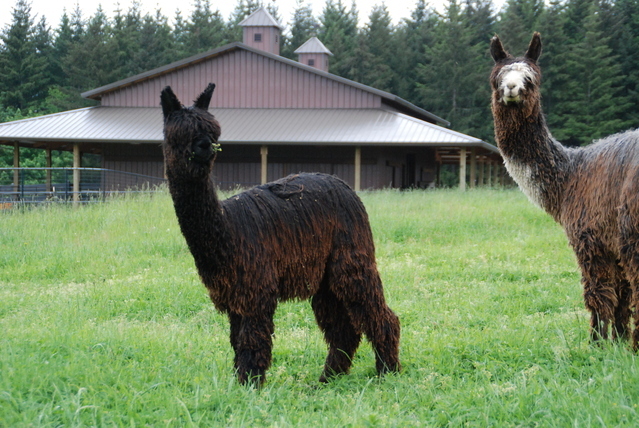 He has produced some spectacular cria for us and now it is time for him to move on. We hate to see him go but we feel his best years are still ahead of him! Rasta Man is the sire to the 2015 AOA National Show Reserve Color Champion Kiah of Halo. He has 3 Reserve Color Championships to his name: 2007 Futurity Show, 2007 GWAS and 2007 IAO. 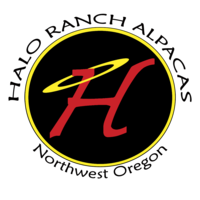 If you are looking for a stud to bring your farm to the next level look no further. Rasta Man has it all! Kiah of Halo is a royal gem. A true black beauty. 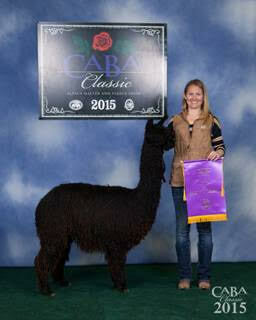 Kiah is sired by 3 x Reserve Color Champion WP Captain's Rasta Man. Rasta Man is sired by the winner of the 2005, 2006, 2007 and 2008 Futurity Reserve Suri Herdsire of the Year award, Captain Morgan. Rasta Man has a strong confirmation with overflowing fleece. 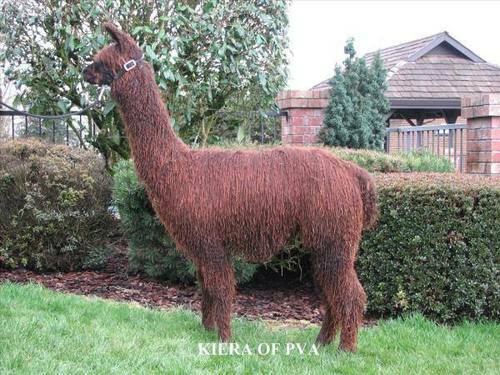 Kiah's dam Kiera of PVA is one of the many top breeding females produced by Park View Alpacas. 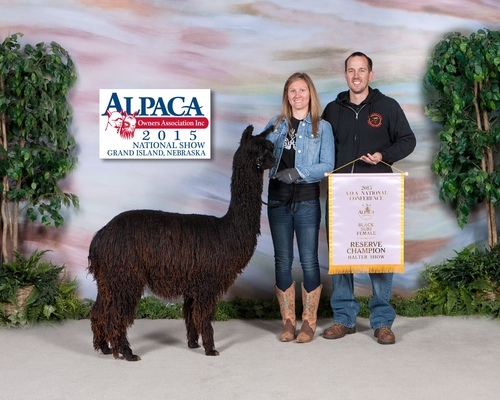 Kiera is the top foundation female for Halo Ranch Alpacas. She has time after time proven herself to carry on all of her amazing proven champion qualities. 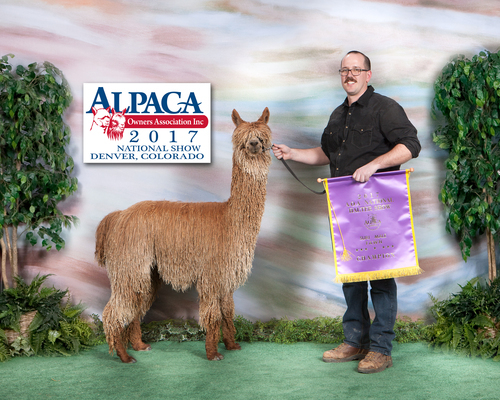 Kiah's grand dam (on her dam's side) is Color Champion Keana of PVA and her grand sire is multiple Color Champion is Montoya of PVA. 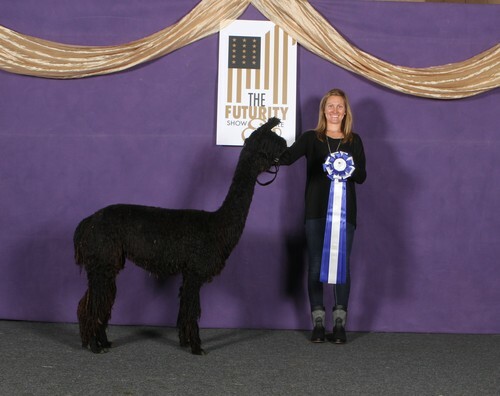 KIAH OF HALO WILL BE BRED FOR A SUMMER 2019 CRIA.